The end of a year is a time for companies to reflect, review and, inevitably, make business-orientated resolutions for the next 12 months. Irrespective of the size of an organization, the roadmap for 2018 will have been planned, with the expectation being that stated goals will not only be achieved before the end of 2018, but also contribute to a healthy bottom line. Financial goals aside, companies should be making certain that their working conditions for employees are safe and free from hazards. According to the Bureau of Labor Statistics, U.S. employers reported 2.9 million non-fatal workplace injuries in 2016, a drop of 48,500 from the previous year. And while the number of non fatal incidents continued to show a year-on-year decline, there was a 7 percent increase in work-related deaths with 5,190 fatalities flagged over those 12 months. "The occupational fatality data show a tragic trend with the third consecutive increase in worker fatalities in 2016—the highest since 2008," said OSHA's Deputy Assistant Secretary Loren Sweatt, in a press release. "America's workers deserve better. The Occupational Safety and Health Administration is committed to finding new and innovative ways of working with employers and employees to improve workplace safety and health. OSHA will work to address these trends through enforcement, compliance assistance, education and training, and outreach." Sweatt's concerns are well-founded and should be considered a catalyst for companies to take another look at their workplace safety protocols. As a result, companies can take advantage of the fresh start that a new year brings by either auditing or upgrading their health and safety software. Health and safety should be a new year priority. Inform and educate your workforce by making certain that people are aware that there are four types of hazard: physical, biological, chemical and ergonomic. The first three are easy enough to explain, but workers may not realize that ergonomic hazards put a strain on the body and can damage the musculoskeletal system. A repetitive strain injury, for example, can be extremely easy to achieve, especially for those people who spend a lot of time typing or have poor posture from being desk-bound. Prevention is better than the cure. In other words, reduce the chances of people suffering from a workplace hazard that can be easy to fix. For example, if a working environment has a high level of noise, make certain that ear protection is up to the job. Noise-cancelling headphones are readily available in the consumer market, so there is no real excuse for companies to not provide workers with adequate protection. Adopt a zero-tolerance attitude to workplace safety. Granted, some working environments have the capacity to be more hazardous than others, but if hazards are more prevalent in a particular workplace, then a company should make an increased effort to ensure that it doesn't get cited by OSHA for ignoring a common hazard. Take fall protection, for instance. This hazard has been at the top of the OSHA list of safety violations for three years. The same goes for hazards such as spills, tripping and electricity. If a worker sees something amiss, he or she should be encouraged to say something, and that encouragement has to come from the top. Don't discount the short- and long-term effects on a worker that are caused by preventable workplace issues. People spend the much of their time at work, so they should not have to become stressed or mentally affected by hazards like extreme workload demands, sexual harassment, a lack of respect or even inadequate social support. In other words, workers have a right to know that management will have their backs if needed. In addition, companies should make every effort to ensure that the work-life balance is not skewed heavily toward the work element. 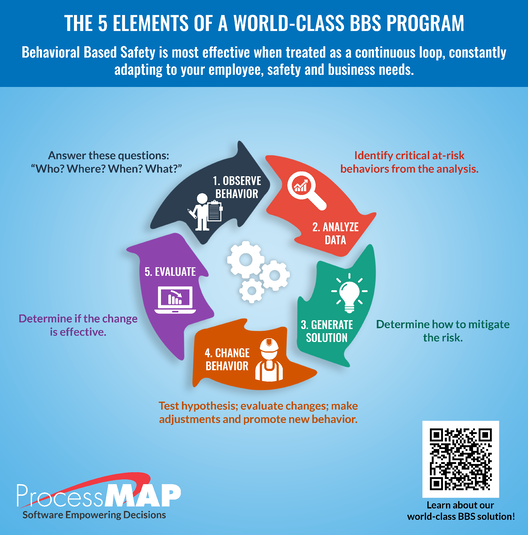 Companies that want to address workplace hazards and risks should check out ProcessMAP's health and safety software. Our solutions suite has allowed organizations to streamline their health and safety protocols and reduce the potential for OSHA citations. Contact us today to learn more and schedule a free demo.